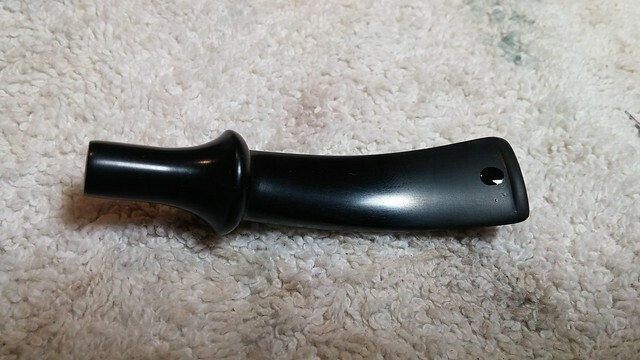 Pinch Me – Another Stanwell Collectors Piece Pickaxe! 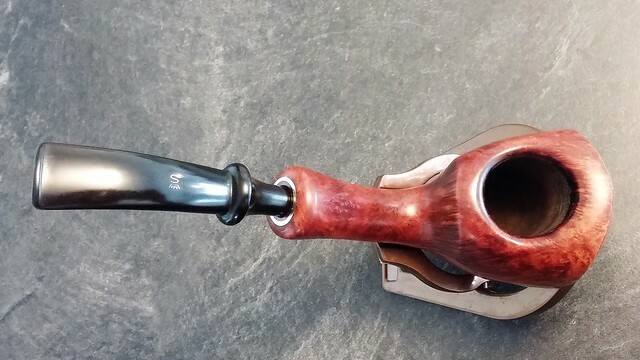 I purchased the estate pipe collection I’ve dubbed The Danish Lot last Spring, and have featured many of the fine pipes from that group here on DadsPipes. The vendors have stayed in touch, commenting now and again on several restorations and offering little details about the pipes and their late Uncle, the former owner. I recently received an email from them. They had come across a few more pipes; would I be interested? Of course I said yes, we worked out an agreement and before too long a parcel arrived at my door. 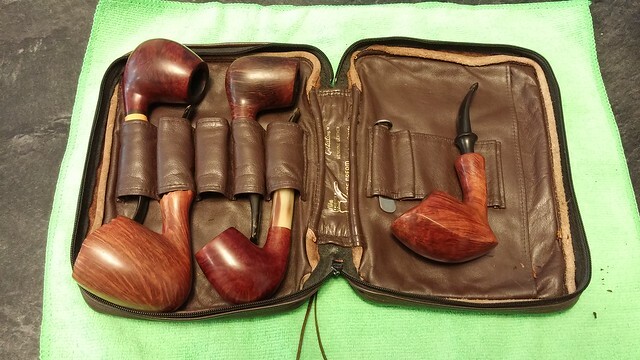 Inside the box was a leather pipe case containing five pipes. The case is shown in the picture below. I have already posted the cleanup of the large Harcourt freehand (bottom left on the left side of the case). 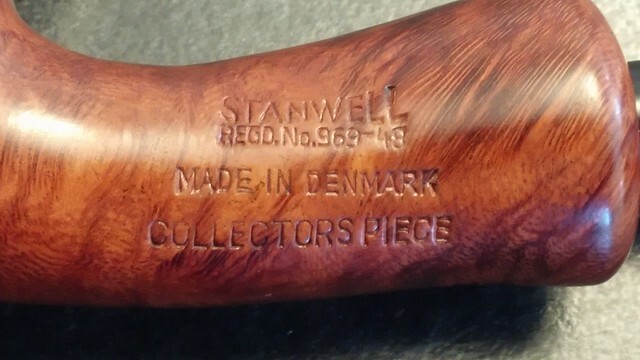 The other pipes on the left side of the case are three more Stanwells – a Bamboo Hand Cut (top left), a Silver S (top right), and a Brazilia (bottom right). 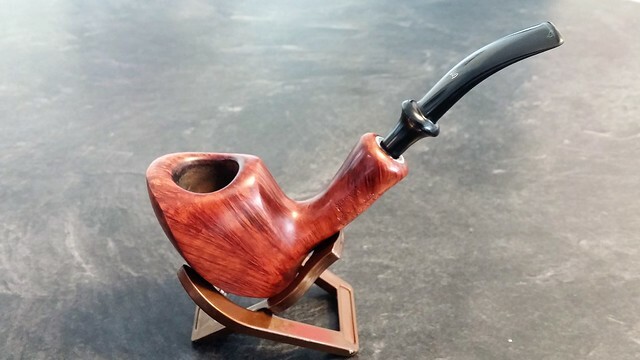 Fine pipes all, but what caught my immediate attention was the pipe pictured on the right side of the case – a second Stanwell Collectors Piece Ivarsson Pickaxe! 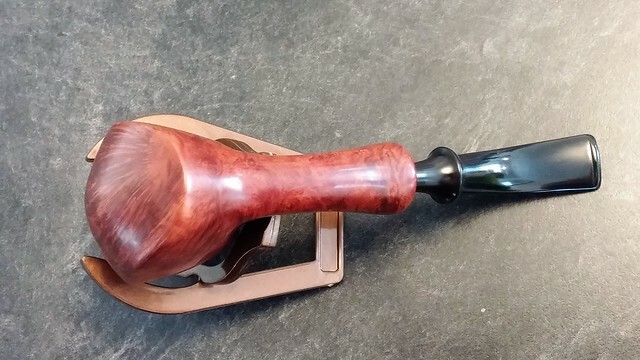 I posted the write-up on the restoration of the previous Collectors Piece pipe here, so regular readers will know that precious few of these pipes seem to have made it across the pond from Europe to North America. 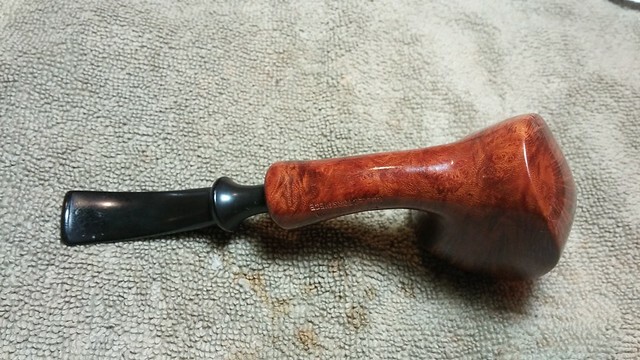 Counting the two pieces currently listed on SmokingPipes.com, the Pickaxe pipe now on my worktable counts as only the fourth Collectors Piece pipe I’ve been able to track down anywhere. 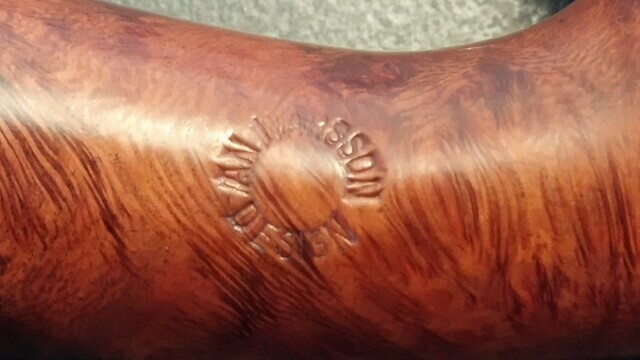 I count myself very fortunate indeed to have been able to work on two of these pipes. Here’s a quick side-by side of the two pipes. 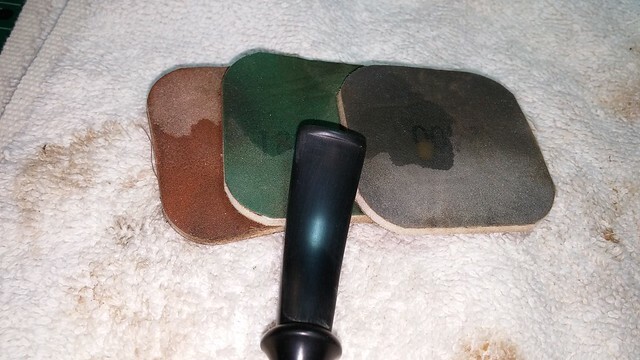 The first Collectors Piece Pickaxe is shown on the left, the second one on the right. 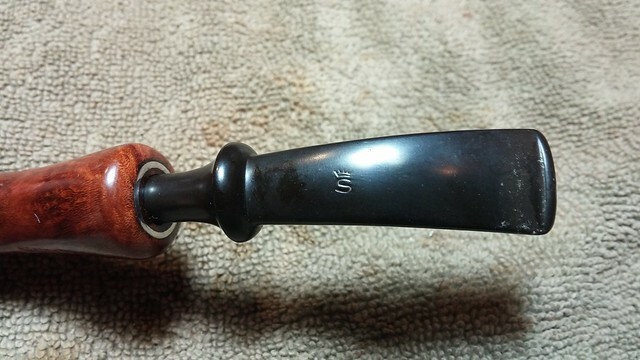 Like its sister pipe, this pipe is stamped “Stanwell” over “RegD No 969-48” over “Made in Denmark” over “Collectors Piece” on the left shank, and “An Ivarsson Design” (circular) on the right shank. 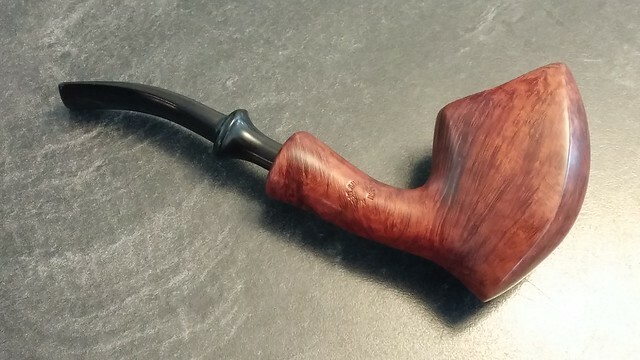 Unlike the previous Collectors Piece I worked on, this Pickaxe appears to have retained its original stem, though the original Stanwell pipe sock is AWOL. C’est la vie! 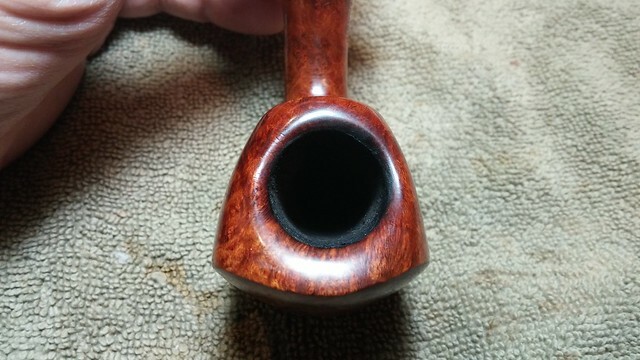 The pipe was in excellent estate condition when received, with a light cake in the bowl, a bit of tooth chatter and oxidation on the stem, and a small amount of darkening around the rear of the rim. There was, however, a dent on the front right face of the stummel that stood out like a sore thumb. It looked like the pipe had hit against the corner of something hard or been dropped. 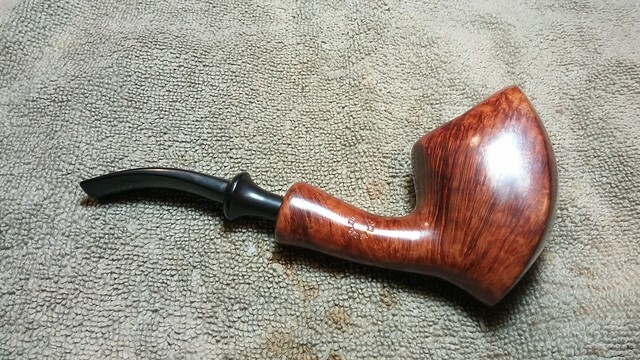 The dent, perhaps 3/16” across, creased the clean line of the front edge of the stummel, marring an otherwise pristine piece and distracting the eye from the gorgeous straight grain of the briar. 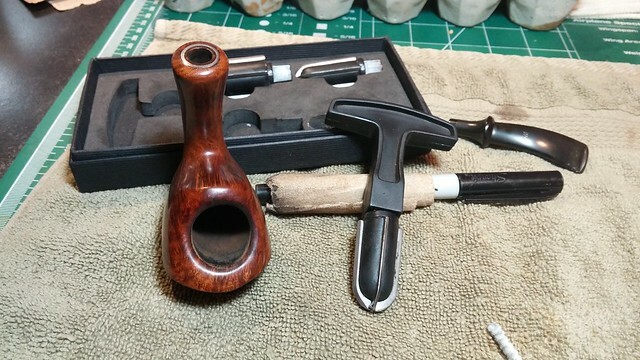 I was excited to get started on this cleanup, so set to work to ream the cake from the bowl with my Castleford reamer and a bit of sandpaper wrapped around a Sharpie. 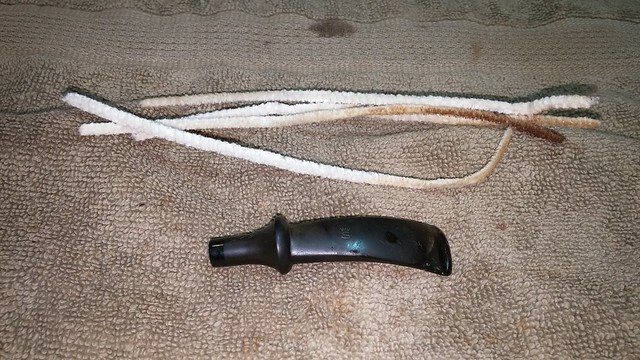 Pipe cleaners and cotton swabs dipped in alcohol cleaned a decent buildup of tars from the airway and shank. I used the square end of my flat needle file to scrape the gunk from the mortise. 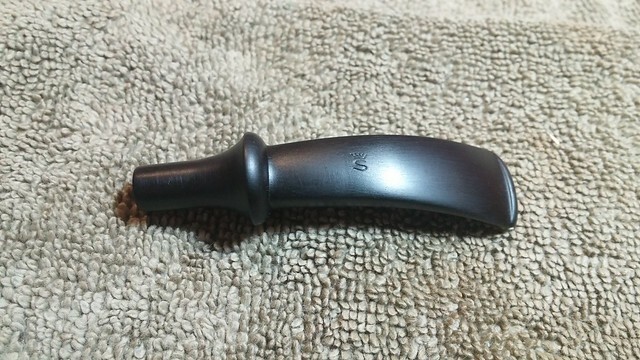 The stem needed only a few pipe cleaners to bring the airway and slot up to par. 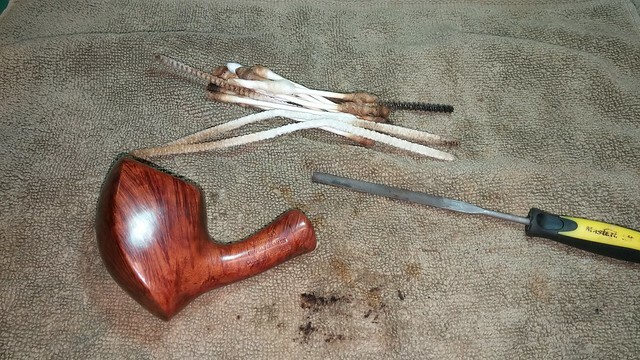 I dropped the stem into an Oxyclean bath to soak for a few hours while I tackled the offending dent in the stummel. 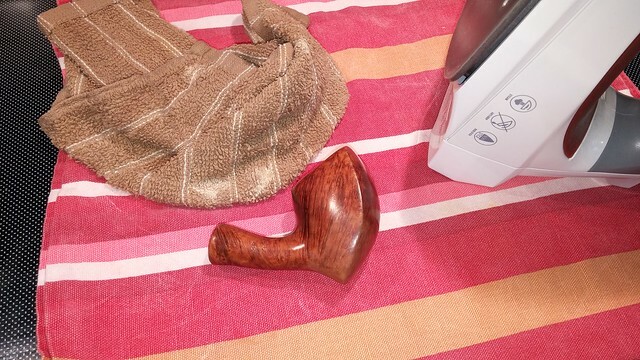 Using a hot household iron and a damp cloth, I carefully steamed the dent from the briar. It took repeated applications of steam to both sides of the dent to raise the crushed wood back into place, but patience paid off. 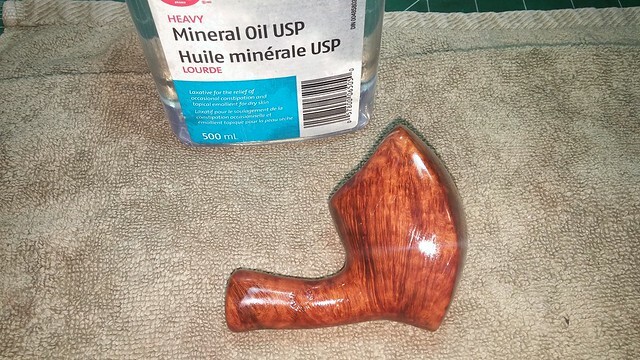 After steaming, the briar needed only a light sanding to erase the last traces of the damage and restore a nice sharp edge to the Pickaxe. 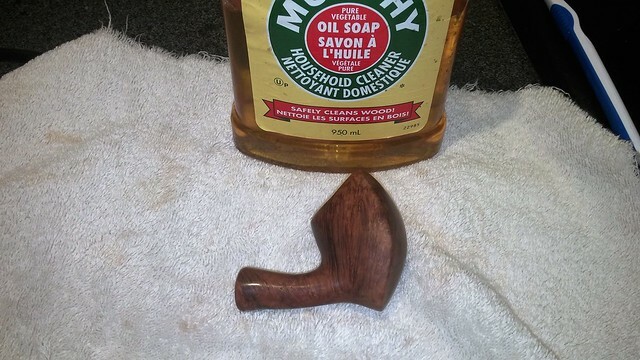 A quick wash with Murphy’s Oil Soap stripped the old wax finish and prepped the stummel for a final polish with micromesh pads in 1500 through 4000 grit. 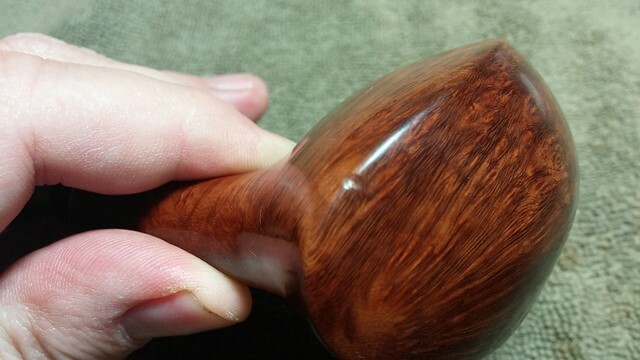 This smoothed everything out and gave the grain depth and lustre. 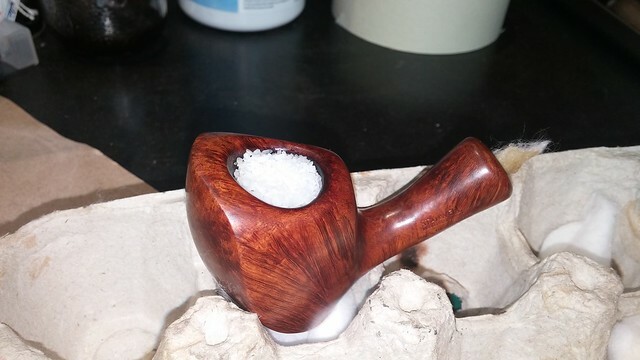 I wiped the briar with mineral oil to refresh the wood and then set up the bowl with a salt and alcohol treatment to clear out any remaining tars and odours. 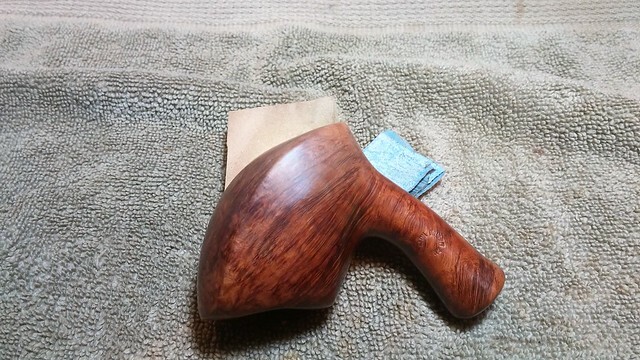 I left the stummel to sit while I worked on the stem. Magic Eraser scrubbed away the light oxidation and grime from the stem, softened as it was from the Oxyclean soak. As you can see, the stem is in really good condition. 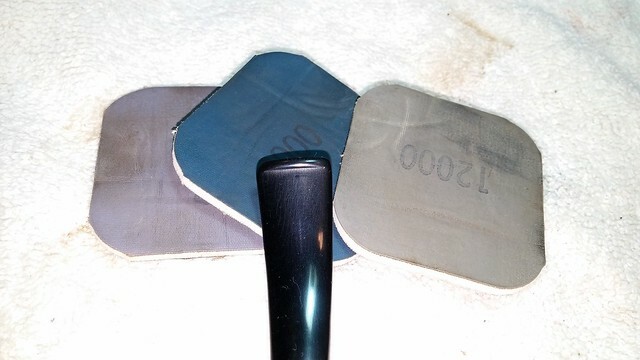 The Crowned S logo is very clearly stamped, though the colour had fallen out. A dab of white acrylic paint restored the logo nicely. There was one small tooth dent in the underside of the stem, which I drop-filled with clear CA glue. When the glue had cured I sanded the fill smooth and gave the entire piece a full course of micromesh sanding pads. 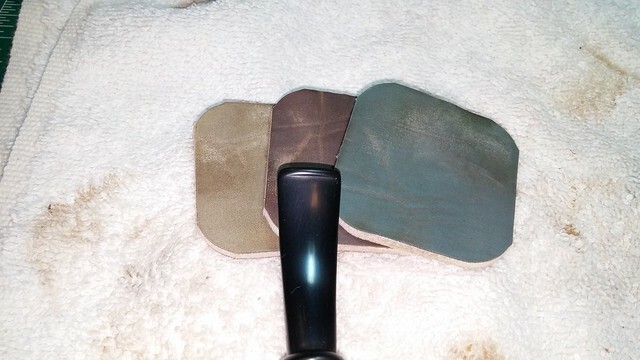 I wet-sanded with the first set of three pads, and dry sanded with the higher grits, wiping the stem clean after each set and finishing with a wipe of mineral oil. 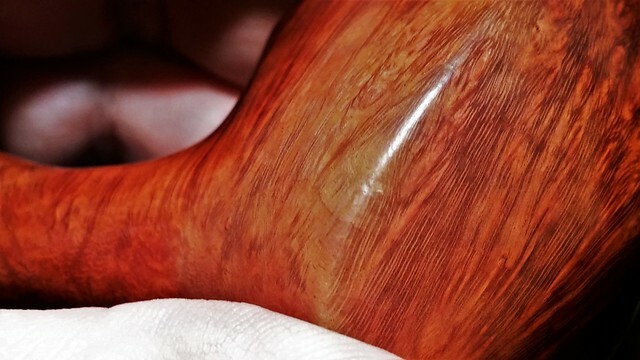 The stummel sat with the salt and alcohol for a full 24 hours, at which point the treatment had done its job and pulled a lot of seep-seated tars and contaminants out of the briar and into the salt and cotton ball. I dumped the salt and removed the cotton and gave the airway a quick scrub with a pipe cleaner to make sure I had gotten all the salt out of the system. A wipe of the chamber removed any errant bits in there. 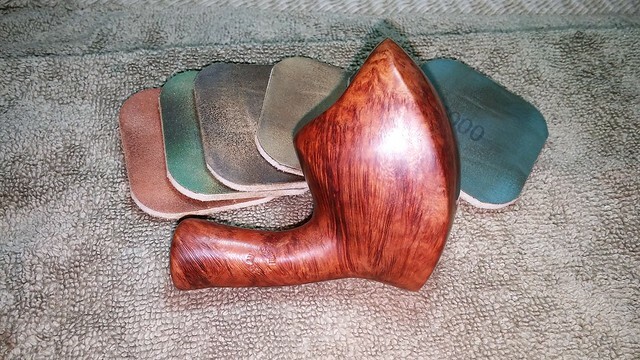 I finished this restoration with a light buffing of stem and stummel with White Diamond compound on the wheel and several coats of Carnauba wax. 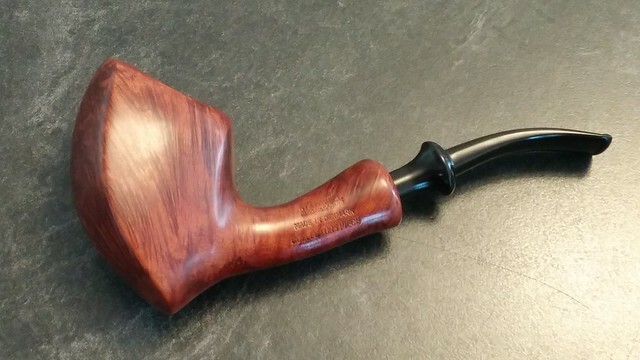 This Stanwell Collectors Piece Ivarsson Design Pickaxe is ready to go to a new piper, who is sure to enjoy it. 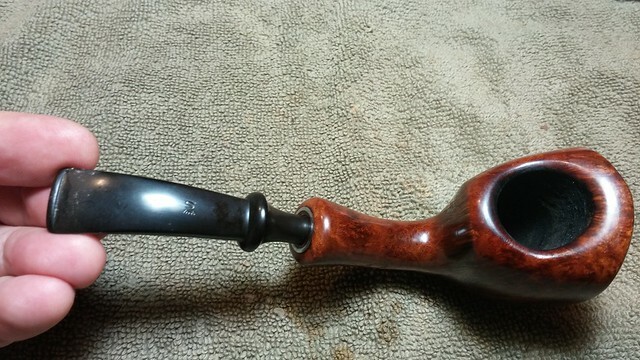 The dents in stummel and stem are gone, and the virgin finish really shows off the superb straight grain of this piece of briar. 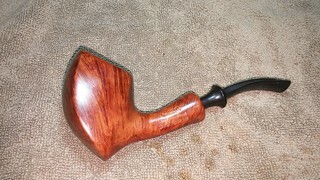 You can find this pipe on the DadsPipes Store now. It will make an ideal gift for a special piper, or an excellent addition to your own rack, rotation or collection. 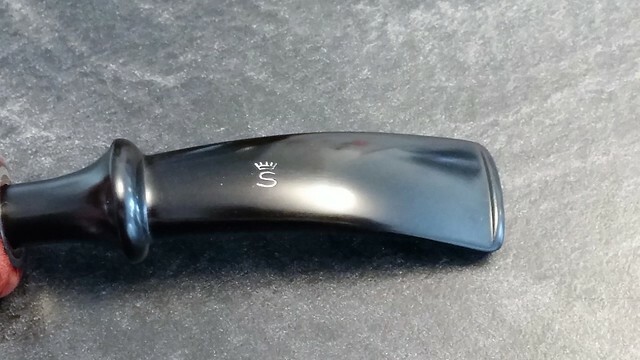 If the first Collectors Piece pipe was any indication, you’ll have to be quick to grab this one while you can! Blyme, another one ! Congrats, they are wonderful, so are the Brazilia ones. I own a pickaxe selected briar one, also Regd. Pictures just cannot do them justice. They look stunning in real life and the hand feel is great. I like the leather pipe case. Is it for sale too ? Thanks. I love the shape of these pickaxes. Email me at lemoncrmobile@gmail.com about the case. We can work something out. I had to reblog this post too! 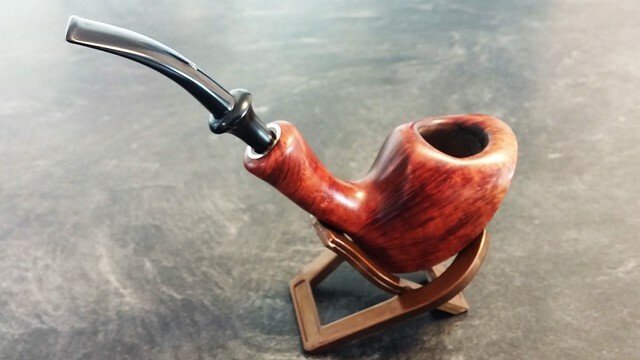 Two Stanwell matched collectors designed by Ivaarson are too good to not post. Great work by Charles on cleaning up the pair. Hope you enjoy them. Thanks Steve! I nearly fell over when I saw this Pickaxe on the lot. Someone will be happy this Christmas, I think! What a find! Nice work on the dent removal. I too use an iron, set on high. 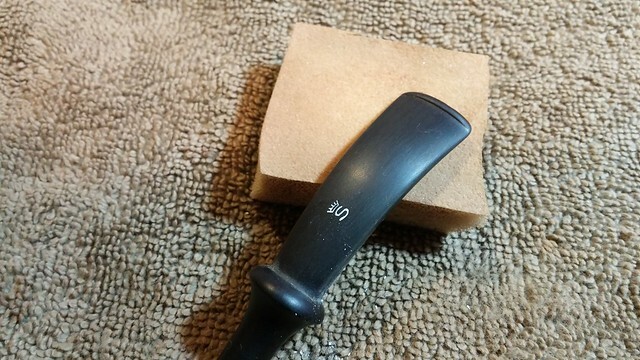 It is easier than a flame heated tool and generates a lot more steam. And they say lighting never strikes twice in the same place! 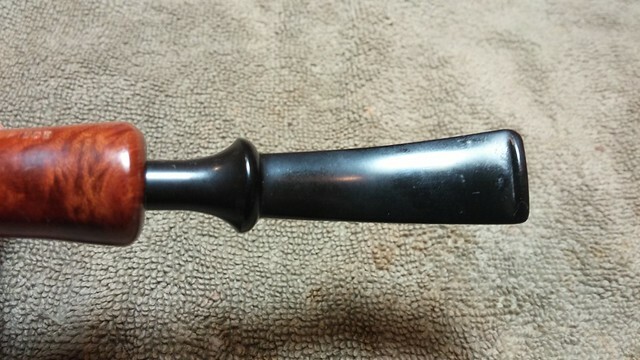 Excellent restoration on the duo of rare pipes. 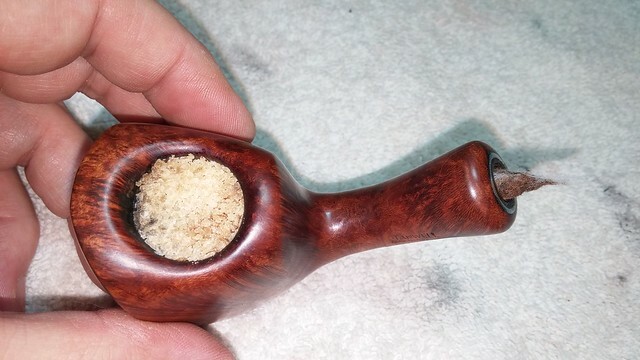 I am partial to pipe number two’s grain, though. Wonderful work, Charles. After having a wedding and returning to Bulgaria, I’m doing a lot of blog catch-up reading! This Pickaxe is beautiful. The grain is a standout. The dent repair came out very well. Thanks for the tutorial, Charles. 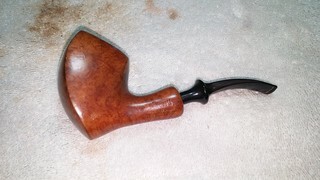 I absolutely adore this type and shape of pipe, and have been in the market for some time for this or something like it. If it, or something similar is something you would part with please let me know. Cheers fam! Both of these have sold, Ryan, but I’ll keep you in mind if I cone across another like it!